SuperCell recently pushed their Clan Wars update, revitalizing what has become a somewhat stale game. Clan Wars pits clans against each other in a two day war where cooperation and strategy with clan-mates help ensure victory. Each epic two-day war is won by the clan who scores the most stars. Bonus loot is your prize for winning the war. 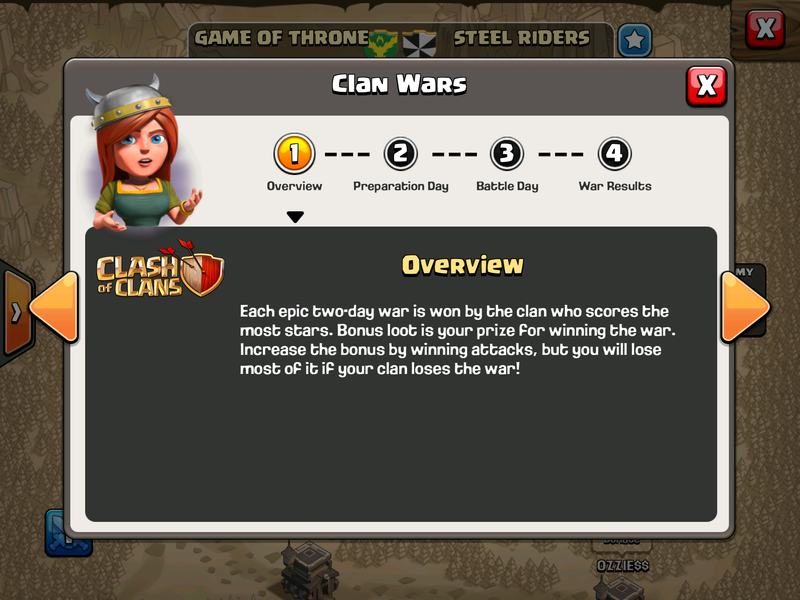 Increase the bonus by winning attacks, but you will lose most of it if your clan loses the war! 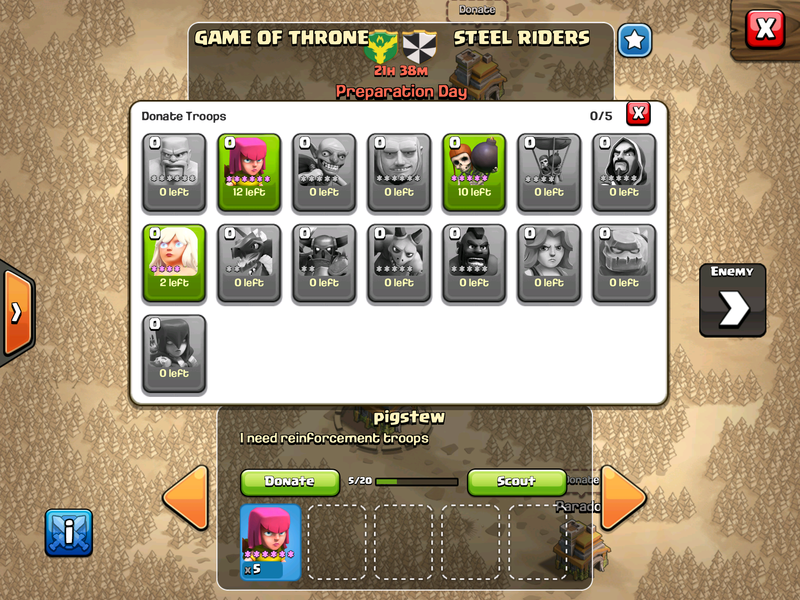 During preparation day, War Bases are open for troop donation and will rearrange to match your village layout. These bases defend for you during war and will keep your resources and trophies perfectly safe. Everyone can attack twice during battle day. 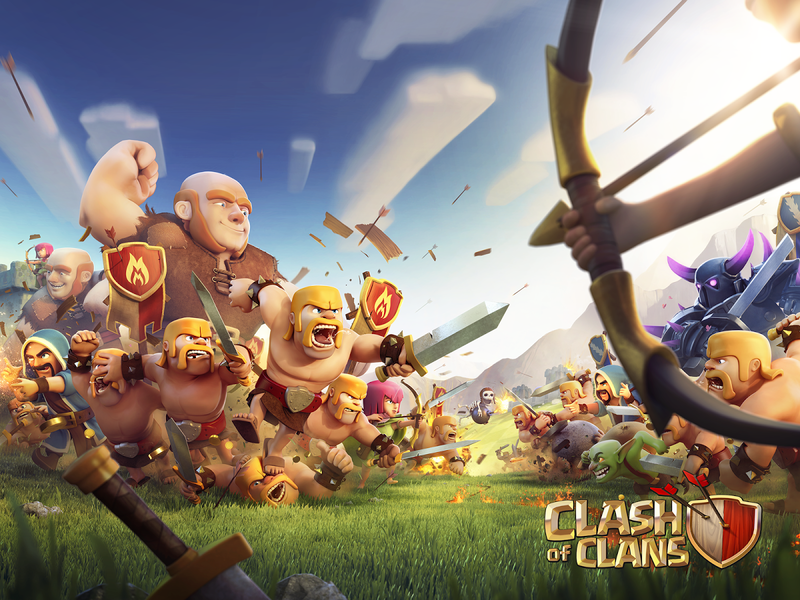 Only the best attack against each enemy counts, so clan strategy is key! 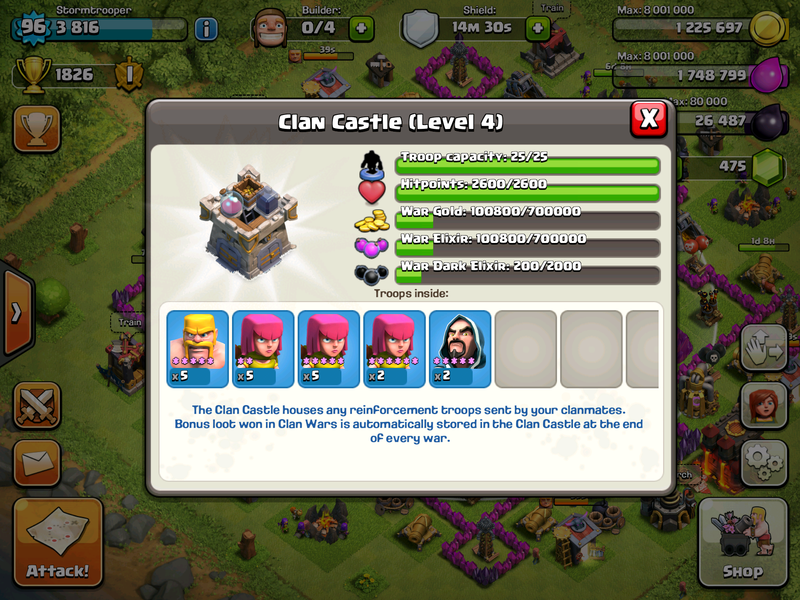 Clan war attacks will not break your shield nor affect your trophies. At the end of the war, bonus loot is delivered to your Clan Castle. You can review results and battle replays after the war is over, for a time. Check your clan’s War Log to review even older wars! 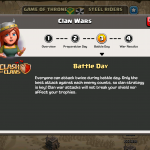 *It’s important to note that Clan Wars run almost entirely independent of the current gameplay – meaning that your trophies, shield, and resources will remain untouched while participating in this ‘instanced’ iteration of your base and clan. 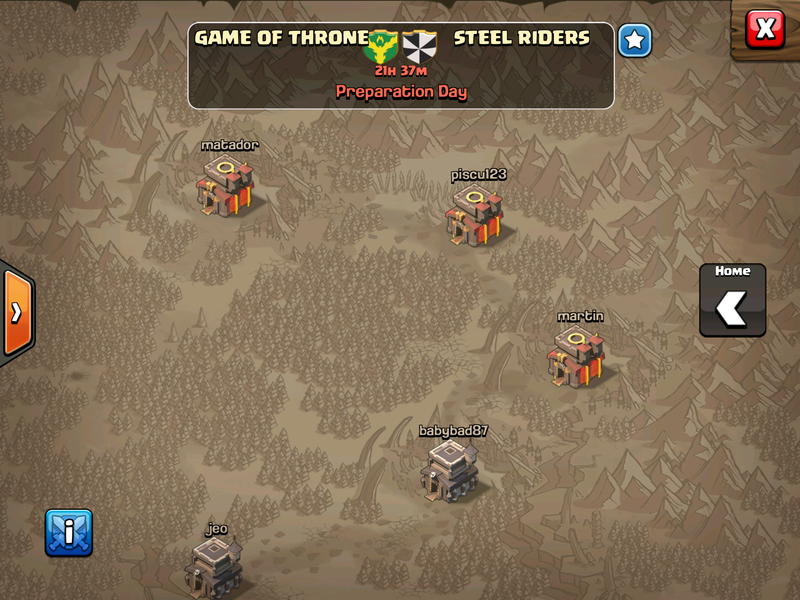 The two day Clan War consists of a Preparation Day and Battle Day. 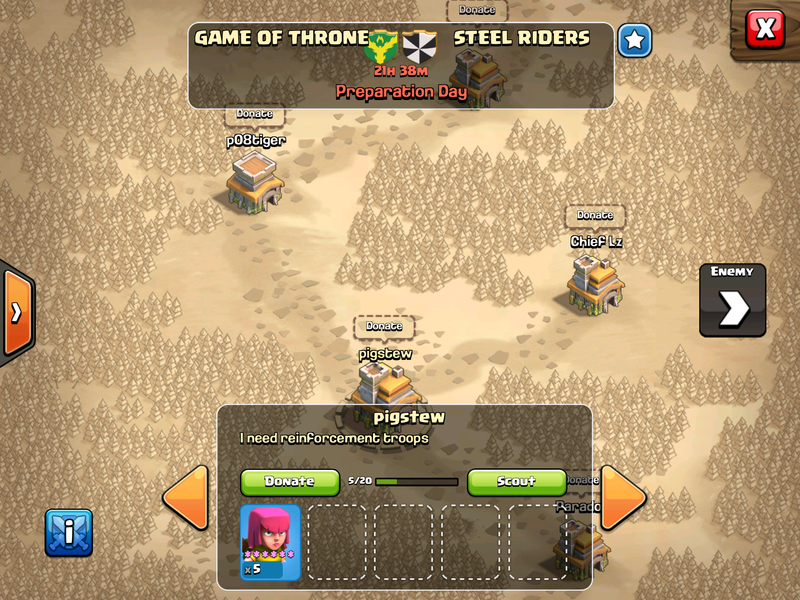 Preparation Day begins immediately once a clan leader or co-leader initiates a war from the new Clan Wars interface. 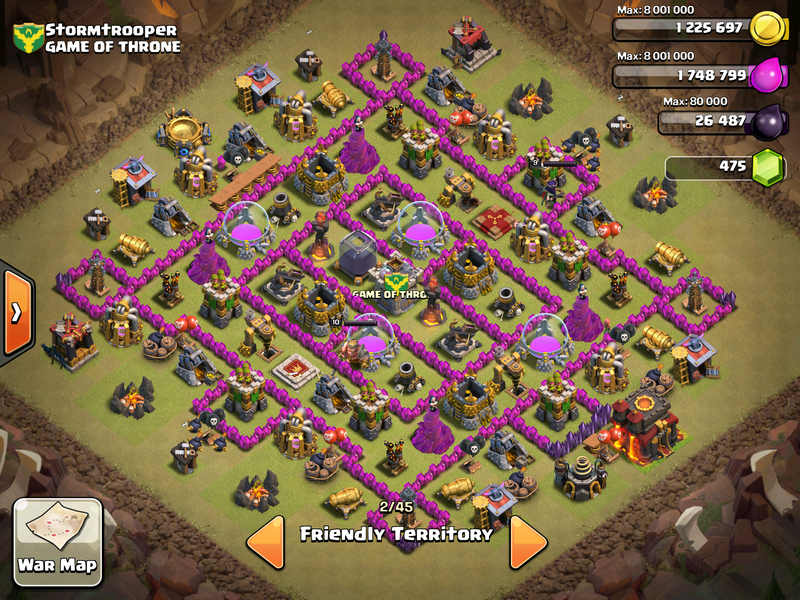 During this phase of war, players are to fortify their bases by rearranging their layout and donate troops to fellow clan members for both offense and defensive play. 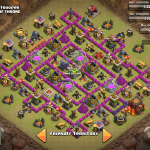 During this phase, players should carefully arrange their base to defend their Town Hall at all costs. Should the opposing team have an easy shot at a Town Hall, they’ve earned an easy star – or two. If a complete overhaul of your base is needed, be sure to save your village so you can easily swap between your Clan Wars base and your normal base as needed. It is also worth noting that players should give generously in their donations during this phase. Instead of spamming to players 5 Archers or Barbarians, you might consider sending Giants, Wizards, Dragons, Minions, Healers, Hog Riders, and even Golems or Witches to help ensure a team victory. Battle Day immediately follows the 24-hour Preparation Day and allows each player to attack twice in the subsequent 24 hour period. Once the Battle Day phase begins, players will be given a recommended target. The recommended target is the enemy base that shares the same rank as the player in the player’s clan. For example, if a player is ranked 5th highest in their own clan, their recommended target will the the 5th ranked player from the opposing team. A player’s rank is likely determined by an algorithm consisting of buildings, building levels, units, unit levels, heroes, and hero levels. It appears that trohpies have nothing to do with ranking in Clan Wars. This method is favorable because the primary determining factor between two identically ranked players will be base layout, selected units, and the attack strategy – the way a strategy game should be. Not all players will play against an identically ranked player, however, but the closest match – meaning part of the clan strategy will be to have some players scale up their difficulty by taking on a higher ranked player than themselves, while others scale them down. Clan Wars introduces a new way to accumulate and store resources, War Loot. War Loot is awarded upon a player victory over an opposing enemy base. At the end of the war, the winning clan is awarded 100% of their War Loot, while losing clans are only awarded a portion of their War Loot. 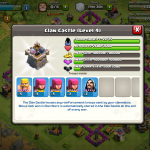 Once War Loot is awarded, the winnings are stored in the player’s Clan Castle and is untouchable to attacking players. This provides an opportunity for players to store large amounts of resources in a vault or treasury to ease the burden of saving for an expensive upgrade or building. Clash of Clans’ Clan Wars release couldn’t be more timely. Clash of Clans was growing stale and player clans provided no real benefit other than troop donations and very general social features. 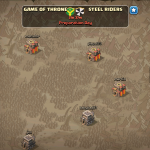 Clans wishing to participate in Clan Wars will benefit greatly from its added resources, allowing players in active and successful clans greater and more rapid advancement within the game. 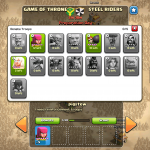 Strategy once again reigns in Clash of Clans and many players are likely to return to take advantage of War Loot and climb in the rankings that now have been made more meaningful. We look forward to this next iteration of the game and highly anticipate some sound strategies to come forward in the coming weeks that we’ll be sure to reveal here. If you’re new to Clash of Clans or just want to brush up on your knowledge and skills, be sure to visit our Novice, Intermediate, and Veteran (coming soon) guides! 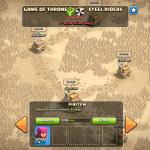 You may also find these Clash of Clans copycats enjoyable. See you on the battlefield! Good luck, and have fun!